The 610 g x 0.1 g capacity Triple Beam mechanical balance scales are well-equipped to handle any weighing job, whether you're weighing solids, liquids, powders or even small animals. 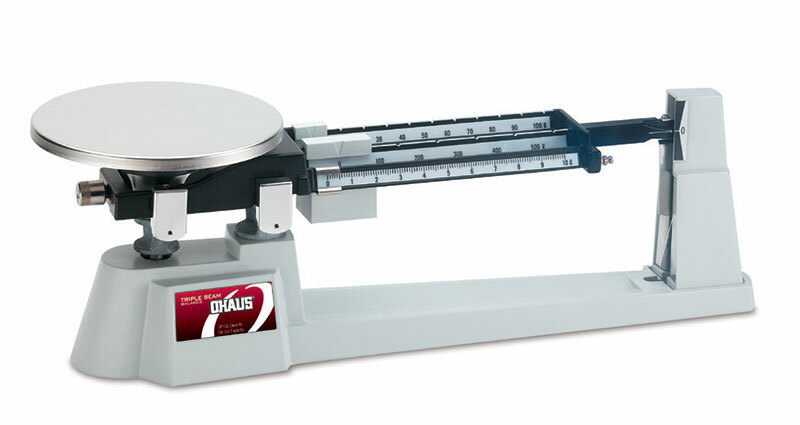 The top loading Triple Beam balance scales series provide durability and versatility to accommodate a range of laboratory and educational applications. Includes stainless steel weighing platform and tare beam to offset weight of containers up to 225 g.